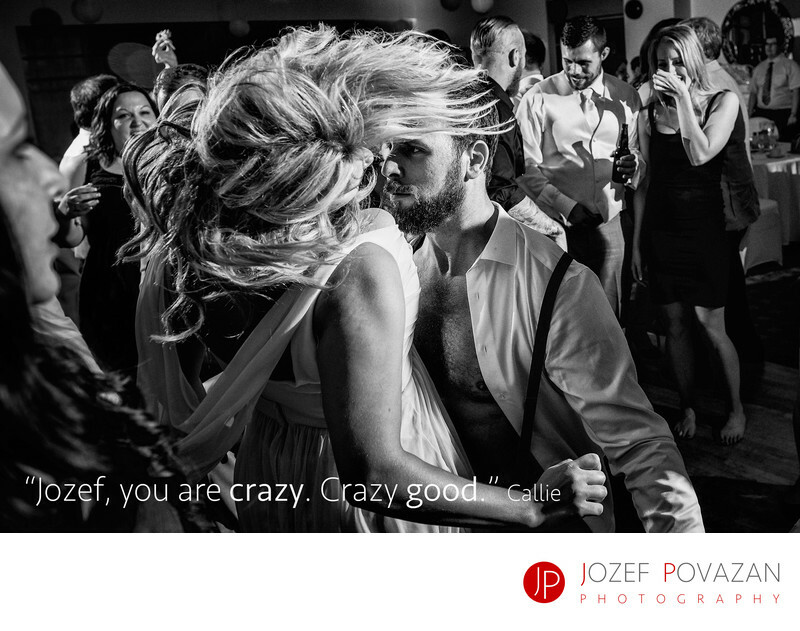 Best Furry Creek crazy wedding dance party no shirt - Best Vancouver wedding photographer Jozef Povazan Photography studio. Best Furry Creek crazy wedding dance party no shirt dancing, loud DJ from Beyond Sound hitting dance floor right way. Simply long night after a rainy stormy wedding day. Wine and boost spilled over the floor, girls hair flying in the air, guys having blast. I simply love the adrenalin of the evening reception party time. Get high, get low, get dirty and you for sure capture amazing candid photojournalistic moments which last forever. Here the maid of honour hits the dance-floor with MC of the night. Where the fun begins? Right here. Cool wedding celebration like this one are awesome to photograph. Location: Furry Creek Country club wedding. Keywords: Best Furry Creek wedding pictures (3).